If you drive a Land Rover, chances are the soft, comfortable ride is one of the main features that won you over. Then, once you took a closer look, you found the suspension is adjustable depending on road conditions, elevation changes, and even parking situations. It’s pretty neat stuff. The suspension on many Land Rover brand vehicles is air suspension, but you probably already know that. It’s electronically controlled with that selector on your console which provides precision adjustments from the compressor to each of the air struts. Unfortunately, as much as we’d like vehicle parts to last forever, it’s not always the case. the Land Rover’s electronic air suspension is no different, and when it fails, it often does so in spectacular fashion. The issue usually starts out as a minor air leak in one of the strut air bladders or lines. Just a tiny leak can cause the strut to lower slightly, constantly requiring the compressor to top it up. That leak will usually grow and you’ll probably notice that your suspension will start sagging slightly in the front or rear, particularly to the side with a leaking air strut. That leaking air strut needs to be replaced as soon as possible or phase two of the issue will commence very soon after. What is phase two, you ask? That’s when the compressor gets too tired to keep feeding air to the strut constantly. The compressor doesn’t just shut off, either. The compressor either gets louder and louder or seizes up entirely. Now you really have a problem. In both scenarios the compressor can’t send air pressure to any of the air struts, so the corner with the leaking strut will drop and drop. Now if you change the air suspension ride height, it will lower but won’t go back up. 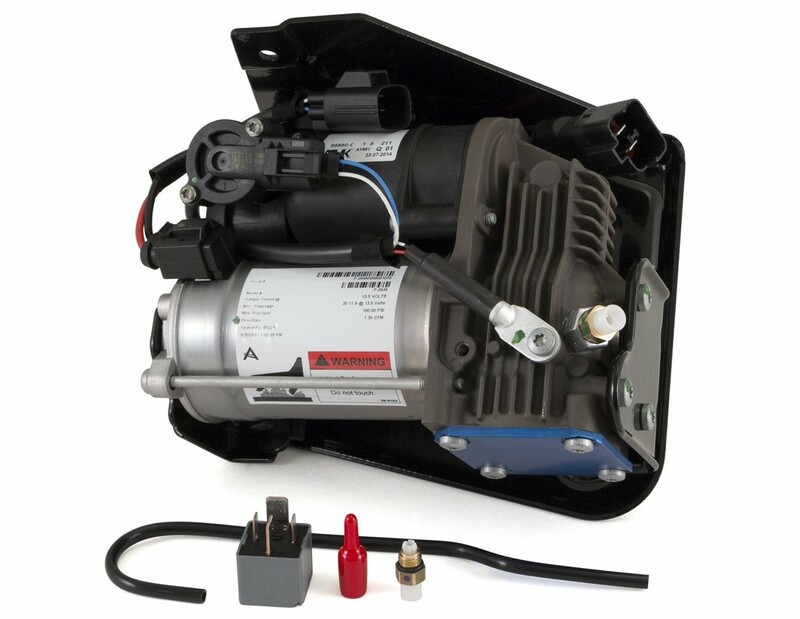 The correction for this air suspension problem on your Land Rover requires an expensive air ride compressor replacement. 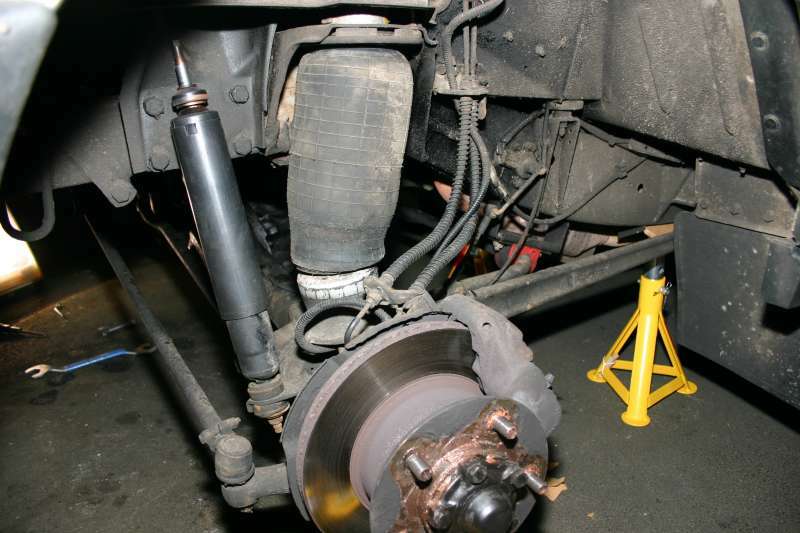 It might be avoidable if you replace the air struts before the compressor quits, which is why it’s so important to deal with Land Rover suspension issues immediately. On top of the replacement air struts and compressor, often it’s necessary to calibrate the air suspension for the new components. If the calibration is not done, your air ride will be inactive, essentially limiting your Land Rover’s ride height to the minimum. The key to keeping air ride suspension repair costs low is early detection. If you notice your Land Rover doesn’t seem like it’s riding quite right or if you have a warning light come on, get it checked right away. L&M Foreign Cars is your low-cost alternative to the Land Rover dealer and offers convenient solutions for your vehicle. If you’re experiencing Land Rover air suspension issues in Brooklyn, L&M Foreign Cars has your answer with the experience and technology to get your air suspension back as good as new. Are your VW Strut Mounts Worn? The streets of Brooklyn are notoriously rough. Not the people, the actual road surfaces. When you drive over speed bumps in parking lots, potholes in backlanes, and the breaks in the road everywhere else, any problems with your suspension are accentuated. If your strut mounts are worn, this is where they are going to tell you. As you drive over any surface that creates travel in your struts, you’ll probably hear a rattling noise from the front. It can happen on just slight suspension travel, over only bigger bumps, or it could happen all the time. Over larger bumps or potholes, you’ll get a loud clunk. It’s not exactly a metallic noise – it sounds dampened. This noise happens when the strut is fully extended. When you turn, you might get some noise and you might not. If your strut mounts are badly worn, you’ll probably get a clunk noise when you turn as well. Your steering wheel may not sit straight when you’re driving straight, or the steering wheel position may shift unexpectedly. In extreme conditions, the strut can punch through the top of the strut mount, maybe even causing an accident or crash. The issue is the material used for the upper strut mounts. Over time, the rubber used to make the strut mounts compresses under the weight of your car. That’s all fine and well, except now there’s a gap at the top of the strut where it mounts to the body at the top of the wheelhouse. This gap is the cause of all that racket you hear as you go over bumps. Not only is the noise annoying but it can cause other trouble as well. When the strut mounts are compressed or squashed, there is vertical travel in the tire that shouldn't be there. This travel means your wheel alignment is never accurate as your wheel is free to move around. The evidence is in your tire wear – when your strut mounts are worn, you’ll quickly notice premature wear on the shoulders of your tire. 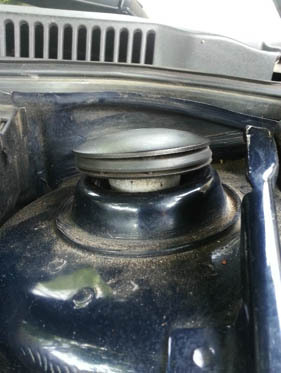 There are aftermarket manufacturers that have corrected the flaw in VW’s strut mount design. Instead of using rubber, they use an alternate material such as polyethylene that holds up much better under the weight of your car. Replacing the strut mounts is an important job. If the problem is detected and corrected early enough, you can prevent dangerous driving conditions, excess tire wear, and undue stress on other suspension components. To correct squashed strut mounts takes less than a day in the shop. The struts are removed, the upper strut mount is replaced, and the struts are reinstalled. Afterwards, a wheel alignment is necessary to get your vehicle driving straight once again. Do you have the symptoms of worn-out strut mounts in your VW? L and M Foreign Cars can help. We know your VW inside and out and are equipped to deal with all of your concerns, including your strut mounts. Call us or drop in today! 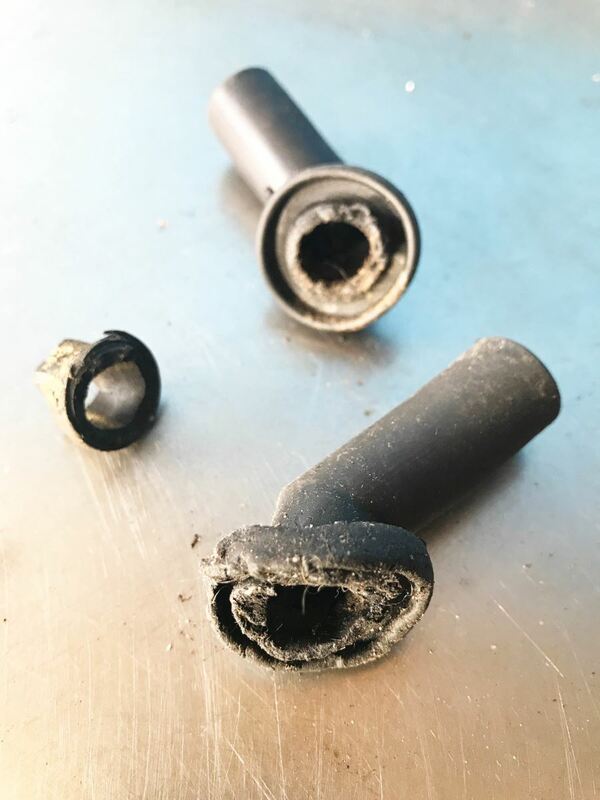 The water coming into your range rover is usually caused when the connecting elbow at end of the sunroof drains fail. Once these rubber elbows give way, the drains hang free and redirect all the water onto the floorboards of your Land Rover. The hose on the passenger side of the vehicle is located behind your Junction Box Electronics (JBE). The hose on the driver side is located in a similar location and is easier to access. Simply remove the kick panel and side panel around the OBD connector and you should be able to locate the drain hose rather quickly. 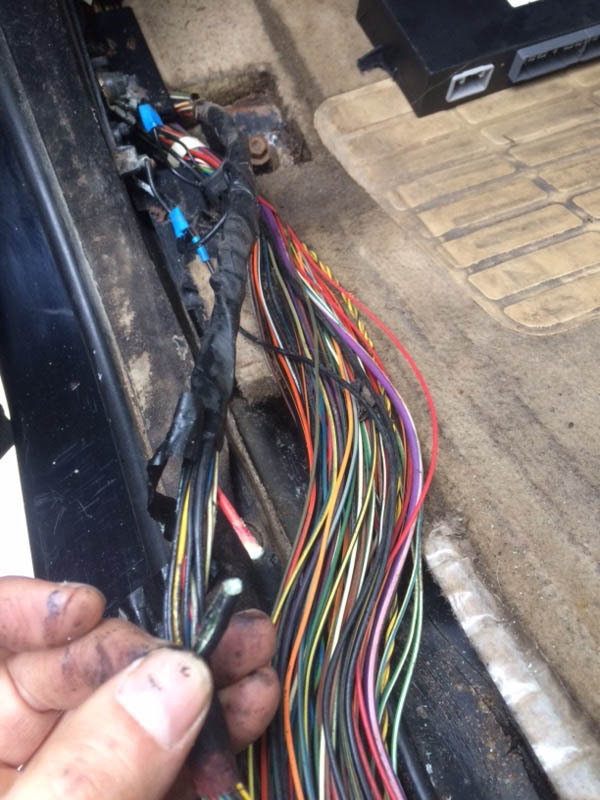 Part of the wiring harness is located at the lowest point along the front floorboards so it is important the get the water issue in your Land Rover taken care as soon as you become aware of it as water damage to your wiring harness is soon to follow. These electrical issues occur when your wiring harness becomes corroded by the water it's been emersed in. 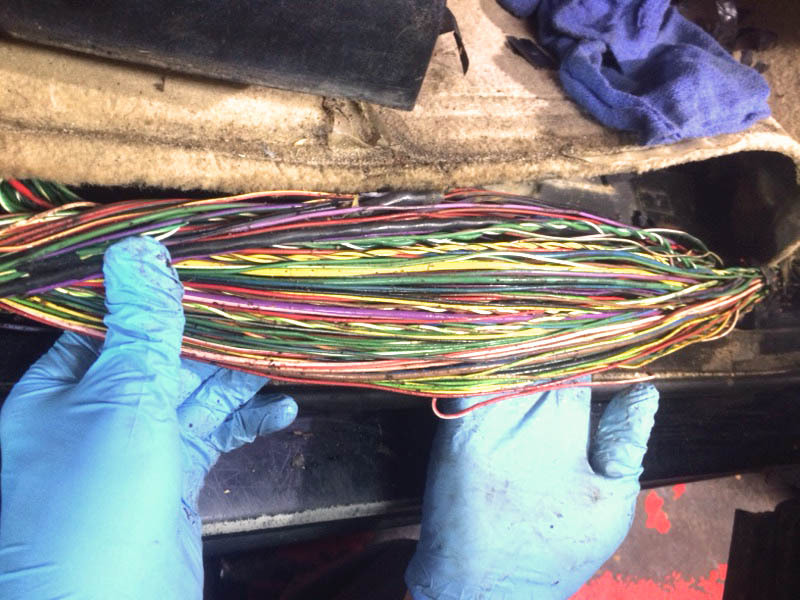 The wires are mostly vulnerable at the splice points .Splice point locations will vary depending on the date and facility your Land Rover was produced. It is NOT advised that you attempt this repair by yourself. The Junction Box Electronics has a total of 6 connectors. Two of these connectors are located on the back of the Junction box and are very difficult to access even for professionals as there is very little room. Additionally accessing the wiring harness is difficult, as several panels will need to be removed, additionally there are multiple splice points in hard to reach locations. The best way to avoid these costly electrical repairs is to replace the drain connectors as soon as you start noticing a damp car or wet floorboards. L&M Foreign Cars has a tremendous amount of experience in all aspects of Range Rover service and maintenance. Whether your water issue has just begun or has been going on for years we're well equipped and ready to handle all your Range Rover needs. When trying to buy your own parts for you BMW, VW, Audi, Land Rover, Mini Cooper or Mercedes it’s easy to get confused. Here are some simple definitions for OE, OEM, Genuine, factory & Aftermarket to help guide your purchasing decisions. They are produced in the same plant by the same manufacturer. The key difference between OE & OEM is the markup Audi /BMW/ Land Rover adds to the OE part. Automotive companies dictate the specifications to the manufacturer. The OE/OEM manufacturer must adhere to consistent production and quality. None of these car companies make their own parts. BMW, Audi, VW, Land Rover, Mercedes. Each of them have parts produced by major manufacturers such as Bosch, Hengst, Mahle, Behr, Beru, Bremi etc. etc. Notice the highlighted areas which include the Audi Logo AND the manufacturer (BERU) of this coil. 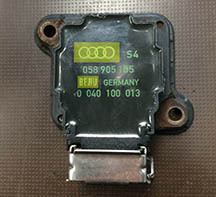 This coil is manufactured by Beru for Audi with Audi specifications. Beru will also produce this coil without the Audi logo and sell it through many retailers which means you can avoid the Audi nealer Network usually resulting in savings for the consumer. When dealing with cheaper replacements quality will vary WIDELY. It’s best to think of them as used parts in that you never really know what you’re going to get. Some are better than OEM and some far worse. It takes a lot of experience or research to get an idea of what to buy and what to avoid. It’s always best to use original equipment especially when dealing with delicate sensors i.e. Mass Air flow sensors, oxygen sensors, crankshaft sensors, camshaft sensors etc etc. Using only OEM Bulbs and Oil filters are also a good idea. You’ve long heard about the long-term reliability of Volkswagen models of all kinds, particularly the Golf and Jetta. It’s true – VWs of all shapes and sizes are some of the longest-lasting, most reliable vehicles you’ll ever find on the roads today, which is why you see them used well beyond 200,000 miles on a regular basis. Unfortunately, no matter whose car you drive, it’s going to experience an issue or two when you’re looking at a high-mileage situation. What problems should you be on the lookout for? What is common to experience when the odometer reading climbs up there? Transmission maintenance tends to be pushed aside for many car owners. It’s not regarded with as much importance as engine maintenance, though with intervals of 60,000 to 100,000 miles, timing is critical. Transmission fluid needs to be kept clean to prevent internal wear on transmission parts and to avoid debris from blocking passages and causing solenoids to stick. If you’re the original owner of the car, you know your maintenance history but if you’re a second or third owner, you likely don’t have those service records. Poor maintenance can cause shift flares, burnt clutches inside, and eventual transmission failure. That goes doubly for DSG transmissions. The timing belt is a toothed, reinforced rubber belt that joins the top end of the engine with the bottom end. Over time, the belt wears, stretches, and cracks. The normal replacement interval is 60,000 miles for most models, and it’s crucial to adhere to that schedule. 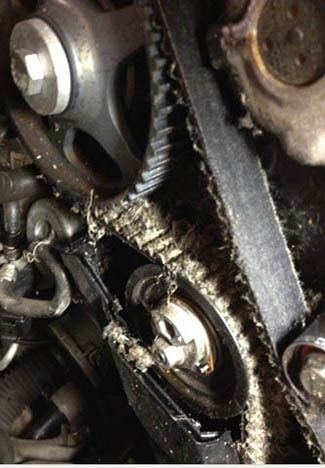 A broken timing belt can cause thousands of dollars of engine damage, from bent valves to damaged pistons and potentially long repair times. Replace the timing belt when it’s due. If you don’t know when it was done last, don’t take the chance of failure – get it changed sooner rather than later. While replacing your timing belt, have the water pump replaced also. You’ll save hundreds on labor down the road if the water pump springs a leak as it’s driven by the timing belt. It only takes a few extra minutes to change. The oil pump on 2.0L TDI engines have been a point of contention for years. The engine starts getting very noisy due to lack of oil pressure, then the engine seizes up. 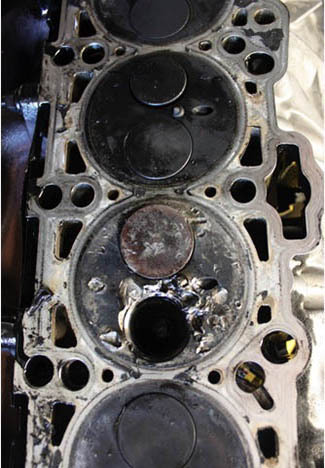 The oil pump is to blame, causing thousands of dollars of engine damage, particularly on engines with higher mileage. If you’re getting knocking or rattling noise from your 2.0L TDI, stop driving it until you get the problem addressed. A replacement oil pump isn’t cheap but it’s significantly less expensive than a replacement motor. It probably won’t torch your whole car, but the wiring connections on top of the battery on early model New Beetles can short. You’ll smell smoke at first, then you’ll find your car won’t start or it may stall. 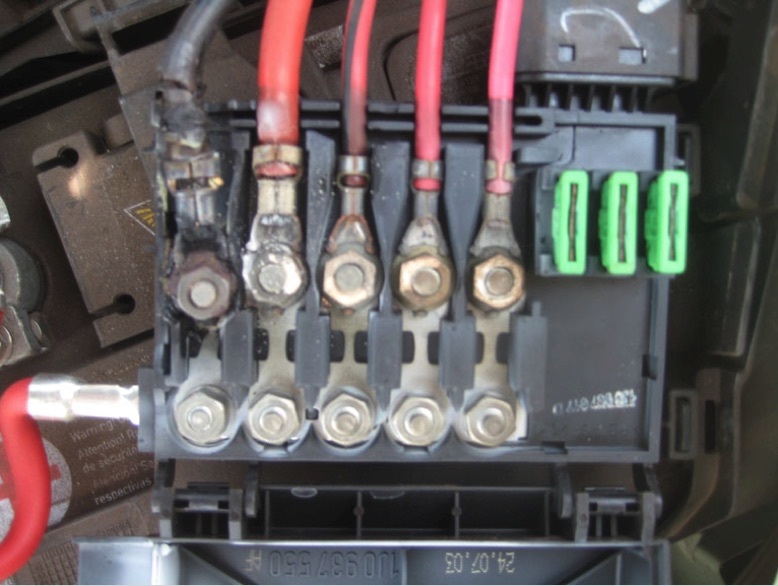 You may notice other little electrical issues too, but it almost always originates at the battery. It’s not a major repair but it can be an annoying problem. At the first sign of electrical issues, have the junction block on the battery checked out. While not exclusively a VW problem, high mileage turbocharged engines can experience poor performance. 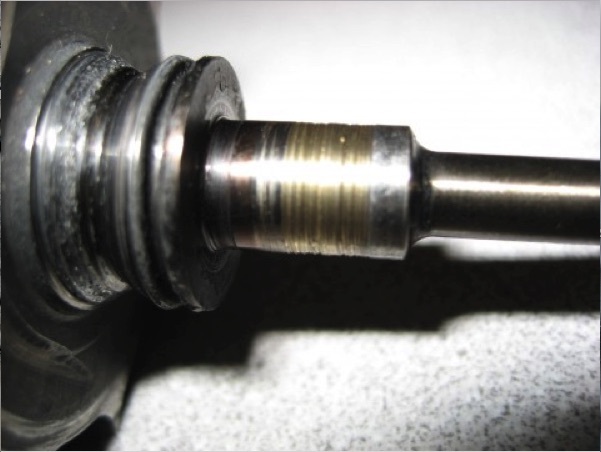 Turbos can fail for several reasons including shaft failure, but most commonly it’s from oil contamination. Regular oil changes using high-grade oil will help prevent early turbo failure and can ensure a long turbo life well into the high mileage category. If your high-mileage VW is experiencing symptoms, don’t wait until it breaks down. Early detection can keep repair costs at a minimum. Trust your VW high mileage repairs to the shop that knows VW best in Brooklyn, L&M Foreign Cars. We’ll get you fixed up right and at a competitive price.